We are all familiar with spring cleaning. It’s a time to clean up and revitalize your home’s interior. Homeowners have an extra responsibility, however, when it comes to home maintenance. Follow a few of these simple steps this spring to avoid maintenance problems. You will preserve your investment, whether or not you are planning to sell your home. Don’t try to survive a summer in Florida with a malfunctioning air conditioning unit. Air conditioning is an important part of living comfortably in the South. You will want to have your system inspected in the spring to keep it running well throughout the summer. A thorough maintenance schedule should include an examination of the condenser unit. It is often found outside the house, while the coils are inside. A qualified HVAC contractor can maintain your system at its peak efficiency. You can avoid the rush of summer by having them come by in the spring. That’s when everyone else remembers how much they need a break from the heat. Pay attention to how well your property drains during the rains of early spring. You may need to have the yard regraded if you have standing water, especially near the structure. You should consider installing a French drain, or some other system, to redirect excess rainfall. Another way to make sure that water is evenly distributed around your home’s foundation is to look at the gutters. Water won’t be able to flow to the downspouts if they are clogged. The water will spill over the gutters instead. This is the time to check that the gutters have not been damaged by any tree limbs. Also, check that they have not pulled away from the side of the house. These maintenance problems could lead to damp, rotting fascia boards or mildewed siding. The extra water might lead to foundation problems. Some of these problems can need expensive to repair. You can prevent future water damage by cleaning your gutters and keeping them in good shape. While you are focused on the gutters, you should also take a look at the roof. The roof is your first defense against water damage. Getting onto the roof can be dangerous, but you can perform an initial inspection from the ground. You will want to look for damaged or missing shingles during your inspection. The harsh, hot summers and strong winds of hurricane season can take their toll on your roof. Curling shingles or holes caused by nails popping up are a sign to call a roofer for a more thorough examination. You might want to see if your home meets modern building codes if it’s older. Building codes have been updated recently in Florida because of all the severe storms in the last decade. This would also be a good time to double check your emergency kit to make sure that you are prepared for a storm. You should pay attention to the condition of your exterior walls as you check for overgrown plants. They are most likely coated with stucco. 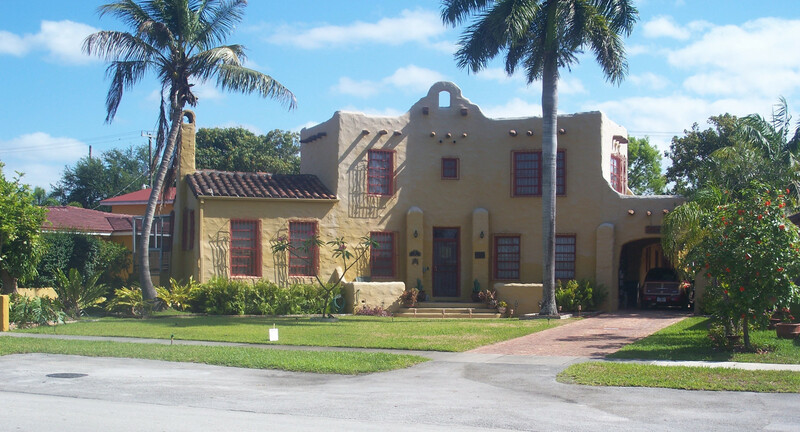 Stucco is popular in South Florida since it reduces sound transmission and needs less energy to keep the house cool. It can be difficult, however, to keep clean, especially if it is lightly colored. Stucco can be cleaned with a pressure washer and cleaning solution. This should be left to the professionals. There are a few precautions you will want to take before cleaning your exterior walls. You will first want to check the surfaces for chips or cracks. Mold or mildew can grow within these areas if you don’t. Preventative maintenance is not the most exciting but it is essential for protecting your home from more serious maintenance problems. Following these seven steps can help you keep your home healthy and happy. Give us a call if you’d like more tips about maintaining your home.